We exist to reflect God’s glory, point our community to His grace, and make disciples of Jesus. Above all else, God is about his own glory. Therefore, it goes without saying that man’s chief purpose should be to glorify God. As God’s image bearers, it seems more accurate to say that our purpose is to reflect God’s glory, sort of like the moon reflects the light of the sun. When we accurately reflect God’s glory and display His character, we point people to His grace. We point them to Jesus. We also point them to a redeemed people - the church. The church is to be a place where disciples are formed - disciples that bear a strong resemblance to the one they follow.  It is our hope that GracePointe Church will be an authentic group of people that accurately reflect God’s glory and display His character so that when our community follows us, they follow Jesus and become His disciples. To see a revolutionary transformation in our lives and our community, as the Gospel radically orients us to Jesus and His mission of redeeming and renewing the world. We envision people from every corner of our community united under a new identity in Jesus and sent to love and serve our community and the cities of the world. It is our hope that skeptics and doubters would recognize they are far from God, repent and believe the gospel. It is our hope that the self-righteous would also recognize that they are equally far from God, repent, and believe the gospel. Finally, it is our hope that followers of Jesus Christ would repent of idolatry and truly believe the gospel daily, allowing them to walk in freedom and passionate relationship with Jesus. It is only when this transformation happens in our lives that we will see lasting transformation in our community. It is only this radical “gospel” renewal that will orient us to Jesus and His mission. Out of personal gospel renewal, we will see renewal of our community, as the very spiritual, social and cultural fabric of Williamsburg and the surrounding counties is redeemed. 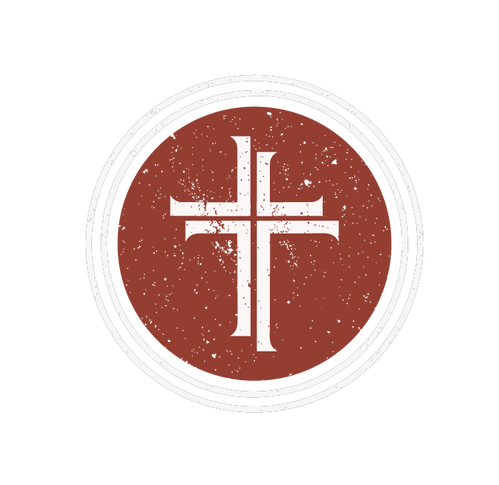 To achieve this, our prayerful aim is to create a movement of God-Centered, Christ-Exalting, Spirit-Led, Gospel-Driven, Grace-Filled, Mission-Minded churches in every part of the community. Through one community, we will reach the world. We are Christ-Exalting because Jesus Christ is everything. There is no person or thing more wonderful than Jesus. And yet Jesus Christ laid aside his glory to come into this world as a human being to save us from our sin. He came as our substitute, living a perfect life for us, then willingly giving His life for us on the cross to pay the penalty for our sin. He has reconciled us to God by shedding His blood on the cross so that we now stand forgiven, holy and blameless before God. We belong to Jesus. His name and renown are the desire of our hearts. We are God-Centered because the ultimate foundation for our passion to see God glorified is His own passion to be glorified. God is central and supreme in his own affections. The most passionate heart for God in the entire universe is God’s heart. We also know that God is love and that love drives Him to relentlessly pursue a sinful people that will ultimately glorify Him in their salvation. We believe that man’s greatest joy after salvation is found only in faithful obedience to God and that our enjoyment of Him is one of the chief means by which He is glorified. Being God-Centered means that we will center our lives, affections, and worship on Him. We are Spirit-Led because it is only through the leading of the Holy Spirit that we will pursue God and a life of Godliness. The third person of the Trinity illuminates the Word of God so we can understand it and be transformed by it. The Holy Spirit lives within us and empowers us for ministry, community, and mission. Without His leading, we would have no desire or power for these things. We are Gospel-Driven because the gospel is what inflames us with love for Jesus Christ, enabling us to live holy lives full of freedom, love, and grace. The reality and message of this gospel is not only for sharing with non-believers, it is the fuel that burns in the heart of every Christian, every day, motivating us to love Jesus and live for Him. Without the message of the gospel constantly informing our thoughts and actions, we would easily slip into duty bound religion, legalism, formalism, and many other forms of idolatry. We are Grace-Filled because it is by grace that we have been saved and are being sustained. Every aspect of our lives should be overflowing with the grace of our Lord Jesus Christ. If we have any hope to point our community to God's grace, this should be most apparent in our interactions with one another in the body of Christ and with those outside of Christ. We are Mission-Minded because the church was made for mission - God's mission. More often than we realize, we confuse the church for the mission. Theologian Christopher Wright says, the church does not necessarily have "a mission" as much as God's mission of redemption has a church. There is an intentional phrasing here. Being mission minded is an effort to balance the realities that the church was made for God's mission and that the church is itself a mission (in that God is consistently working in His people, transforming us to reflect the character of Christ). As a Mission-Minded church, we have true hope for everyone. The gospel has produced a real hope that sees no one as hopeless since every transformation, including our own, is a miracle of God.